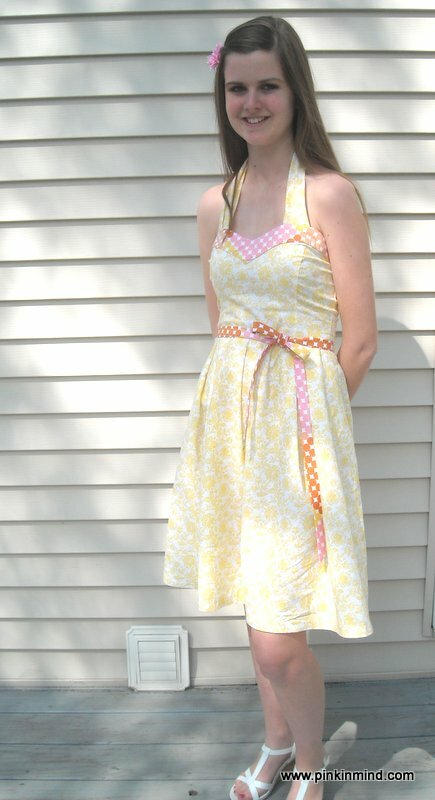 Annie and I wanted to make new dresses for Easter this year. She selected this New Look 6048 pattern, a Project Runway design. 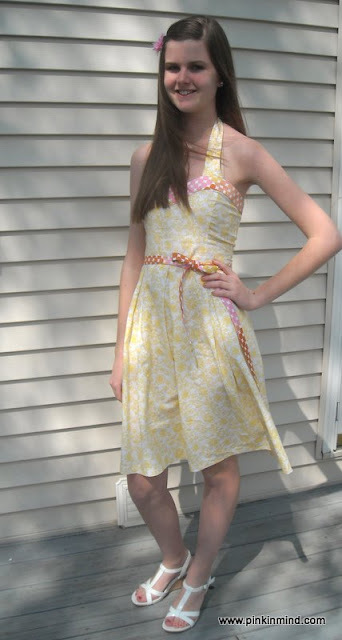 She really wanted a yellow dress and selected a slightly heavier weight quilting cotton from Joann. She picked out a dot contrast fabric for the contrast and the belt. She made version B, with the halter top, but without the bottom ruffle. It was a bit chilly and windy on Easter, but I think you can see my sewing “intern” did a fantastic job! We carefully measured her and adjusted the multi-sized pattern accordingly. I asked her to baste it in steps so we could make adjustments along the way. I understand that patterns should be fit and adjusted, but it is a pet peeve of mine that even after measuring and cutting, we had to remove INCHES from the fabric! We removed so much that we had to remove one of the pleats. Even accounting for ease there appeared to be a disconnect between the measurements, but I find that with almost every pattern I use. I guided her on the zipper application, which I still struggle to make wrinkle-free. I am actually starting to prefer invisible zippers for their look and ease of sewing. She did a fantastic job and received many compliments. 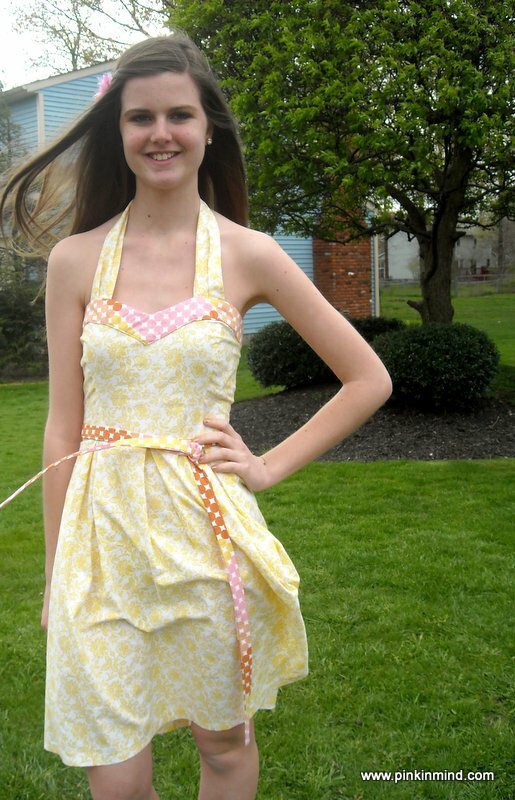 It will be a cute sundress for summer! She has added some new items to her Etsy shop, including cases for hair straighteners. Wow lovely job! The fact that you have to do that much adjusting after you’ve measure and cut for the pattern makes me shy away from the idea of sewing clothes even more. Yikes! It just sounds sooo complicated. This is so cute! Great job Annie!